Attorneys Tiffany J. Kallod – Zimney Foster P.C. 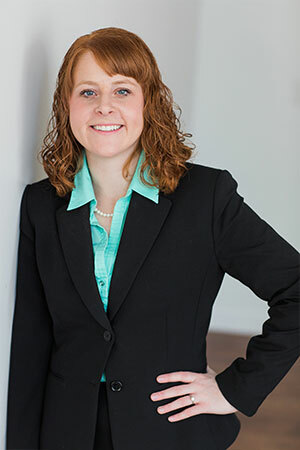 Tiffany J. Kallod (tkallod@northdakotalaw.net) joined the law firm in 2016. Tiffany graduated from North Dakota State University with a Bachelor’s Degree in Accounting and a minor in Advanced Fraud Investigation in 2012. She graduated from the University of North Dakota School of Law in 2016 earning her Juris Doctor. She is licensed to practice law in North Dakota. While in Law School, Tiffany was a member of Law Women’s Caucus and Energy Law Association, and served as a Pupil member of the Randy H. Lee American Inn of Court. She is a member of the State Bar Association of North Dakota.